Diagram: For those of you who are used to the old structure, we have produced a diagram which shows how relationships between new and old categories. Download it here. Fast search: If you are looking for a particular indicator it is always a really good idea to use the very speedy search function on our data page. 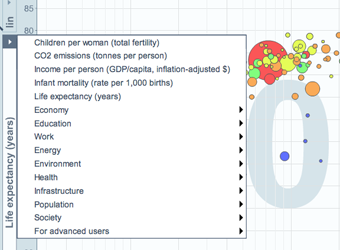 You can search by name or category and quickly bring up a graph in Gapminder World or download the data in Excel.